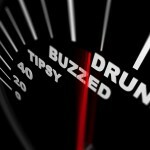 Despite active law enforcement and aggressive prosecutions, Orange County has some of the worst DUI statistics in California. Recent figures from the California Office of Traffic Safety tell us that there are approximately 13,000 DWI arrests each year in Orange County out of nearly 200,000 statewide. If you are among the thousands who are arrested for DUI in Orange County this year, take your case at once to an experienced Orange County DWI defense attorney. “Sober Living” programs: These offer housing, counseling, and assistance with education and employment. House arrest: House arrest with electronic monitoring (an “ankle bracelet”) allows convicted offenders to work, attend school, and meet other regular responsibilities. 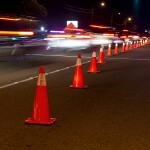 CalTrans: The CalTrans Work Program is often required as a condition of probation. Participants clean up litter along roadways, clear brush, and clean graffiti. While there are alternatives to jail, if you are convicted for DWI, you’ll still face fines, probation, a suspension of your driver’s license, and possibly more. If you are arrested for DWI in Orange County, exercise your right to remain silent and insist on your right to have an attorney represent you. Don’t plead guilty. 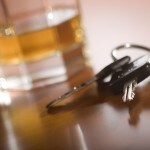 Instead, fight the charge and contact an experienced Orange County DWI defense attorney as quickly as possible.